Join us for our annual Chili Dinner Fundraiser. Last we we had over 15 different chili’s so we’re sure you’ll find one that you’ll enjoy. 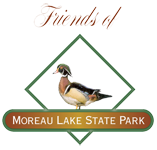 Our presentation this year is “Best Kept Secrets of Moreau Lake State Park”. Local renowned naturalist Jackie Donnelly along with Park Staff will give you unknown insights to the park so you can explore more. Suggested Donation is $8.00, kids under 12 free. Download the flyer here.